Classic car looks at 15 years. This car has all the extras for an older car. It is too close to the ground. The seat remembers the driver, nice seat covers. Back seats lay down giving storage just the way a station wagon should. Comfortable for both passengers and driver for long trips. Car has a look that even at 15 years still looks like a classic car. Research the car you want and make sure you know what you are getting. It drives fine for the most part but we have an issue of it turning off all electrical functions and will still drive but turn signals will not work and so forth which can be scary and annoying. It's very safe and good on fuel efficiency. Good for a family. 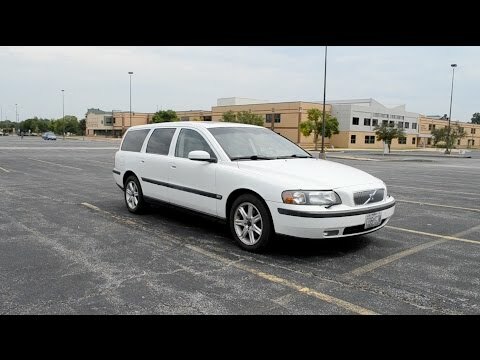 I like my Volvo V70. It gets me to and from where I need to go. It's safe which is the most important thing. I'm not a big car guy. I dislike that it's so old.